Joey Gallo homered and grounded a tiebreaking single to the vacant spot at shortstop against the shift, helping the Texas Rangers beat the Angels 12-7 on Monday night. It was in Mike Trout’s return after the Los Angeles star missed three games with a groin injury. Tonight, game two will feature Minor vs Harvey at 7:05 pm. Northeast Texas Community College (14-23) baseball traveled to Gainesville, Texas on Monday to take on North Central Texas College (23-15). The Eagles came away with a 6-1 win over North Central. 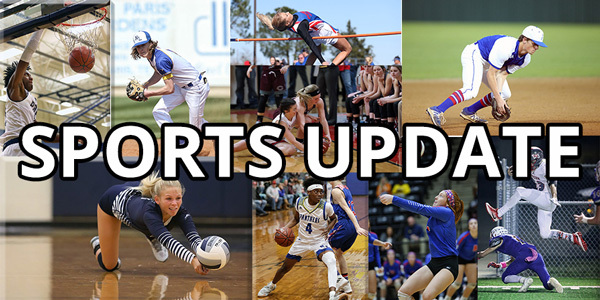 NTCC will return to conference play on Thursday, April 18 when they travel to Paris Junior College. The Seattle Seahawks and Russell Wilson have reached agreement on a four-year, $140-million extension that includes a $65-million signing bonus and now the quarterback is the highest-paid player in the NFL. With the four new years added to his contract, Wilson, 30, is now contractually tied to the Seahawks through the 2023 season. Oakland Raiders wide receiver Antonio Brown has reached a settlement in a highly publicized lawsuit in South Florida. Brown faced two lawsuits from an April incident during which Brown allegedly yelled at security and threw items from inside an apartment off a balcony. Both lawsuits were for “damages in excess of $15,000, exclusive of” attorney fees and interest. The Sacramento Kings hired Luke Walton as their coach on Monday, just days after the Los Angeles Lakers parted ways with him following three losing seasons. Neither the Kings nor Walton waited long following changes that came just after the regular season. Sacramento fired coach Dave Joerger on Thursday following a 39-43 finish that was the best record for the franchise in 13 years. Walton was dismissed in Los Angeles a day later after failing to get the Lakers into the postseason in the first year with LeBron James.